268 pages | 34 B/W Illus. 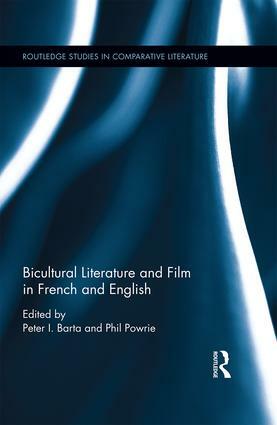 This book focuses on literature and cinema in English or French by authors and directors not working in their native language. Artists with hybrid identities have become a defining phenomenon of contemporary reality following the increased mobility between civilisations during the postcolonial period and the waves of emigration to the West. Cinema and prose fiction remain the most popular sources of cultural consumption, not least owing to the adaptability of both to the new electronic media. This volume considers cultural products in English and French in which the explicitly multi-focal representation of authors' experiences of their native languages/cultures makes itself conspicuous. The essays explore work by the peripheral and those without a country, while problematising what might be meant by the widely used but not always well-defined term ‘bicultural’. The first section looks at films by such well-known filmmakers working in France as Bouchareb, Kechiche, Legzouli and Dridi, as well as the animated feature Persepolis. Here the focus is on the representation of human experience in spatial terms, exploring the appropriation of territory cohabited by ‘local’ people, newcomers and their children, haunted by the cultural memories of distant places. The second part is devoted to multicultural authors whose ‘native’ language was English, Russian, Polish, Hungarian or Spanish (Beckett, Herzen, Voyeikova, Triolet, Conrad, Hoffmann, Kristof, Dorfman), and their creative engagement with difference. A study of the emergence of multilingual writing in Montaigne and an autobiographical essay by Elleke Boehmer on growing up surrounded by English, Dutch, Afrikaans and Zulu frame the volume's chapters. The collection relishes the freedom provided by liberation from the confines of one language and culture and the delight in creative multilingualism. This book will be of significant interest to those studying the subject of biculturalism, as well as the fields of comparative literature and cinema. Peter I. Barta is Professor Emeritus in the School of English and Languages at the University of Surrey, UK and Professor of Comparative Literature at Texas Tech University, US. Phil Powrie is Professor of Cinema Studies and Executive Dean of the Faculty of Arts and Human Sciences at the University of Surrey, UK. This series is our home for cutting-edge, upper-level scholarly studies and edited collections. Taking a comparative approach to literary studies, this series visits the relationship of literature and language alongside a variety of interdisciplinary and transnational topics. Titles are characterized by dynamic interventions into established subjects and innovative studies on emerging topics.